Social housing is a subject that is badly dealt with by the ACT Government. 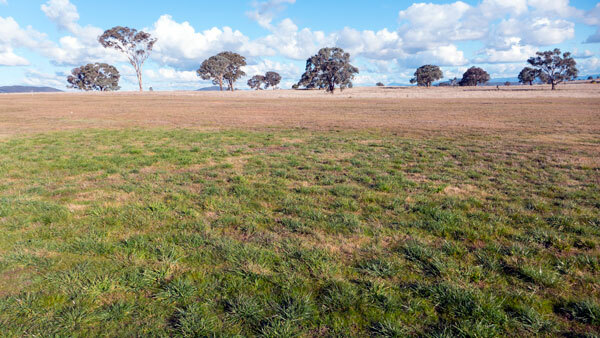 The government also likes to sell off any land – and has recently moved to sell off landscapes that had previously been designated as being zoned for community use. These two issues have been linked together in Dickson. 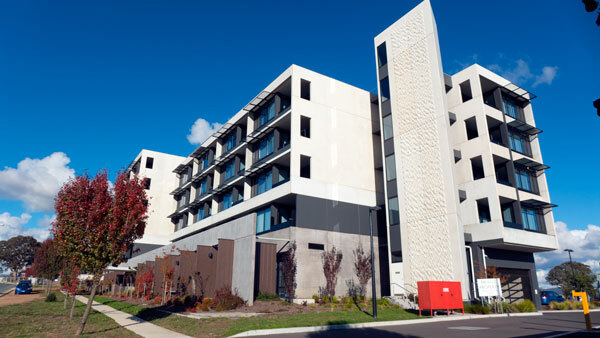 Part of the local debates about the future of the Dickson parklands has been the introduction into the conversations that the government intends to demolish the Northside Community Centre to build an apartment tower along the lines of Common Ground in Gungahlin. Given the years of trickery around the future of the Parklands, people quite rightly feel as though a great initiative is being misused to gain another political point. So what is Common Ground – and should another be built on the Dickson Parklands? The short answer could be yes – but first a little tangent into the world of architecture on local TV. There were two episodes of Pushing The Boundaries recently screened on local Prime TV–they are now available on YouTube: Click here for episode One – and the – here for Episode Two. It was marketed as a program about architecture, and along the way there was indeed some architecture of interest. The reality was that it was a program without a strong focus on debating architecture and was more about promoting the work of chosen architects and developers. It was more of a lifestyle program – rather than an architecture program. The surprise was that the program honoured Common Ground in Gungahlin as the number one example of architecture. This was a puzzle given that the building is not great architecture especially when viewed alongside others in the program (eg VIBE Hotel Canberra Airport). Having said that – there is absolutely no doubt that Common Ground is a fabulous initiative and very successful. I was just not convinced that being so ‘worthy’ was an indicator of the best architecture in Canberra. 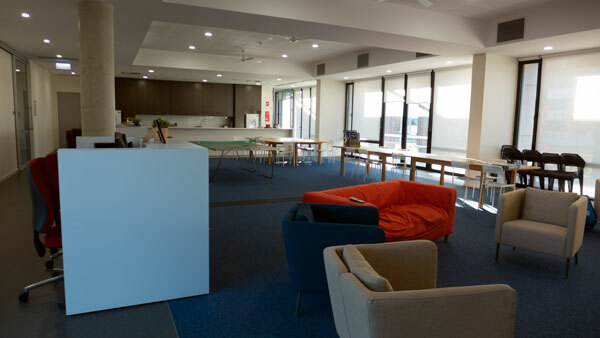 Having visited Common Ground and been shown around the inside of building and one of the apartments, this is an initiative that has been a long time coming. 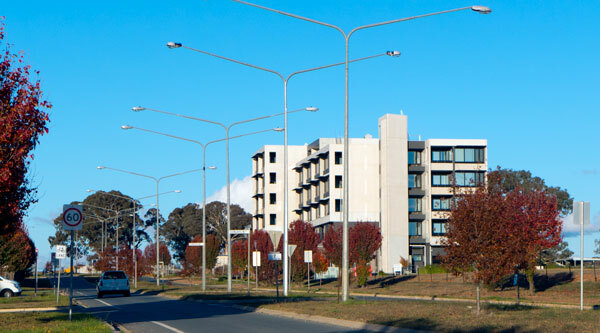 There should be many more such buildings (with better architecture) across all parts of Canberra– and in a fairer world, there should have been several planned to be situated along the redeveloped Northbourne corridor. The living standards offered by Common Ground reflect a humane way to look after those not so advantaged. They provide a boost that allows people to get their act together again and to seek opportunities that may see them move out and start their lives over again. So back to my question – should a Common Ground be built on the Dickson Parklands. 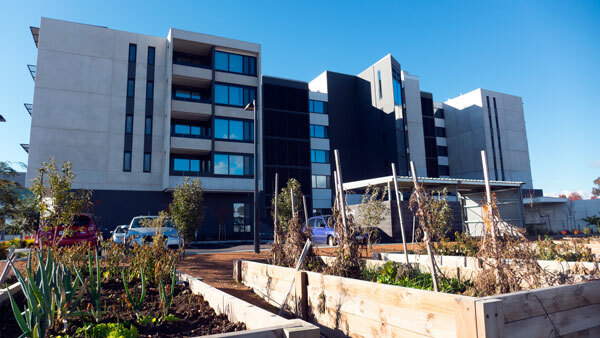 What is missing is any sort of planning for the whole site and even more – any precinct planning to show how this site sits within the ever-changing surrounding suburbs – Dickson, Downer, Ainslie Hackett, Watson, Lyneham etc. There is no doubt that at least several Common Ground buildings should by now be situated across the inner north – but where would depend on there being planning in place that should have identified a host of opportunities and requirements. This is what is missing – planning– be it master planning, precinct planning or whatever. This level of planning just does not happen – and yet various agencies keep wanting to plonk things, both good and bad, onto sites with no planning and with no real attempt at open and honest community engagement. To reiterate: My view is there is definitely a place for Common Ground initiatives across the inner suburbs. 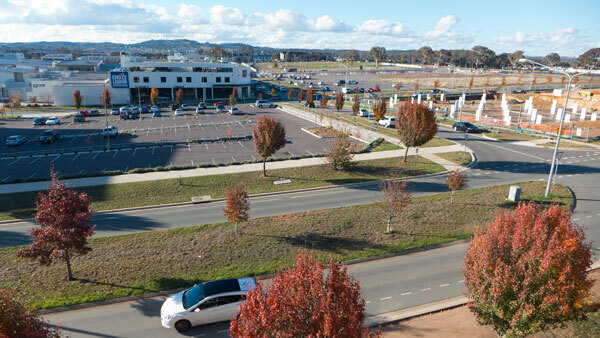 Except for the very ordinary external architecture, and the weird placement on the edge of vast paddocks, the Gungahlin Common Ground is a great example of could be repeated in most areas throughout Canberra. I hope that this government can stop using such overdue initiatives to complicate debates about the future of important assets such as the Dickson Parklands; the term Parklands refers to a site that has an abundance of greenery, some open spaces and a mix of community and cultural facilities. To the Ministers concerned – please get this right and bring the residents along with you instead of trying to play tricks to get such overdue and wonderful things done.